Modular “Watch Band” EyeX Mount (for VESA & More) #3DPrinting #3DThursday « Adafruit Industries – Makers, hackers, artists, designers and engineers! automakers shared this project on Thingiverse! Mounting an eye gaze device correctly is critical for those who use it to control their computer and to communicate. One challenge is that the monitor sometimes must be rotated to match the user’s orientation (in a bed, power chair, etc.). 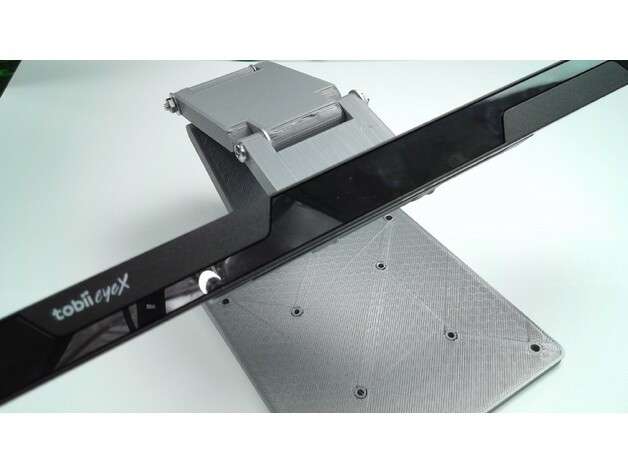 Many mounts for eye gaze cameras will fail when rotated, or will remain parallel to the ground (which doesn’t work).